Historian John Sandlos and Geographer Arn Keeling, both at Canada’s Memorial University, have re-framed mining operations as waste management systems in their open access article “Zombie Mines and the (Over)burden of History” in The Solutions Journal. They critique the often aesthetic remediation of some abandoned mines through landscaping or creating parks because they often overlook that which is invisible and beyond aesthetic reach: chemical and radiological hazards that exist in geological time. The write, “we have come to think of abandoned mines as ‘zombies’—sites that continue to exert some sort of malevolent effect during their afterlife. Although technology may be able to mitigate or remove some of the persistent toxic threats of zombie mines, or prevent them from occurring at newer mines, many sites throughout the globe are haunted with toxic legacies that simply cannot be remediated.” Moreover, “what is often forgotten in discussions of abandoned mines is that remediation and restoration programs may themselves pose new environmental risks and impacts.” They go on to look at case studies to refine their pithy yet resonant metaphor of the undead. The piece is short, to the point, and freely available under a Creative Commons License (online here or Download the PDF), and I recommend a read, especially given that abandoned mines are not the only zombie-like cases of waste and wasting out there. Kississing Lake, northern Manitoba, Canada. Polluted by mine tailings. Photo by Jon Gerrard. In humanity’s relentless search for the industrial minerals that undergird our modern technology and economy, we have extensively and comprehensively ravaged natural landscapes. Sites like the Berkeley Pit in Montana or Western Australia’s Kalgoorlie Super Pit exemplify the awesome scale of these transformations. Indeed, as an industry quip has it, mining is primarily a waste management business. Mineral solid waste accounts for the largest proportion of total global industrial waste production, and mining often generates toxic by-products ranging from heavy metals to process chemicals like cyanide. 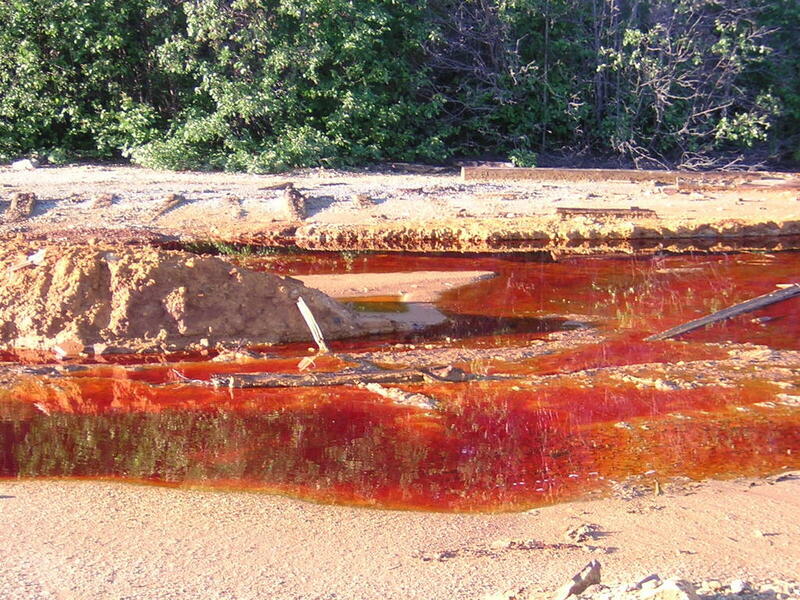 The effects of these wastes may persist long after mine closure and abandonment, requiring long-term care and maintenance. Under pressure from governments and environmental groups in recent decades, the industry has begun to address these considerable and controversial legacies of extractive development. Edward Burtynsky. 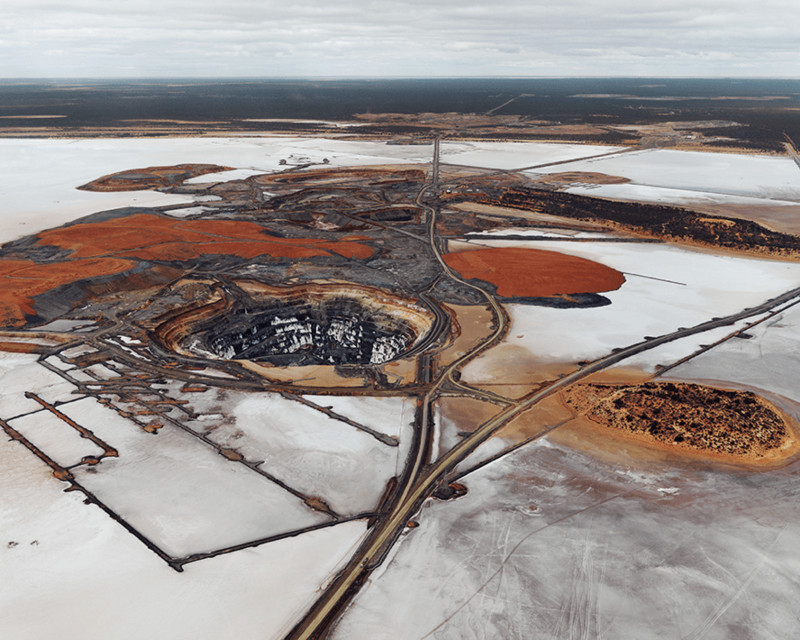 Silver Lake Operations #2, Lake Lefroy, Western Australia, 2007. This entry was posted in Disease, Environment. Bookmark the permalink.